Stereo Kicks are a British boyband formed on The X Factor in 2014! James Graham, Reece Bibby, Tom Mann, Casey Johnson, Jake Sims, Charlie Jones, Barclay Beales and Chris Leonard were put together by X Factor bosses at Boot Camp after each auditioning first as solo artists! Fans got to suggest a name for the group after their Judges’ Houses performance that sent them through to the Live Shows! They are part of the Groups category, which is mentored by judge Louis Walsh, and have built up a huge fanbase across the UK since their first live performance together in Week 1 singing Katy Perry’s hit Roar! 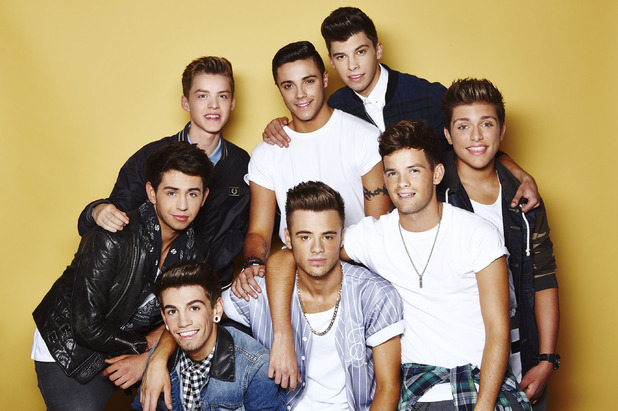 We love Stereo Kicks here at Fun Kids and definitely think the boys have what it takes to win the competition! Tweets from Barclay, Casey, Charlie, Chris, Jake, James, Reece and Tom.